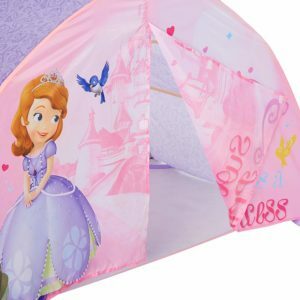 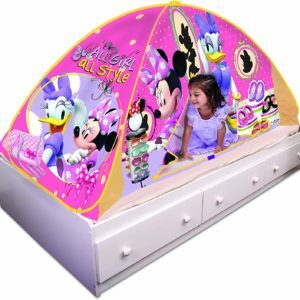 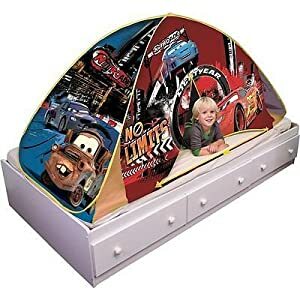 Set this Disney Princess and The Frog Bed Tent up on a twin bed and instantly create a magical place for your child to sleep in. 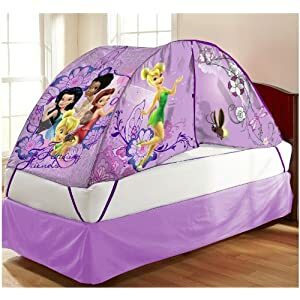 It is such a comfortable place to relax and dream. 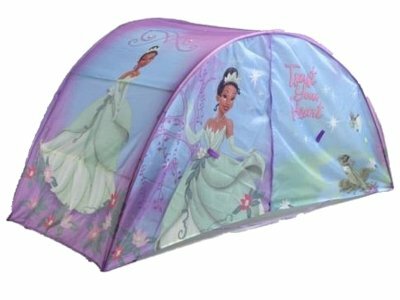 In this sheltered spot, your kid will be free to play, read, sleep or dream in the most beautiful setting. 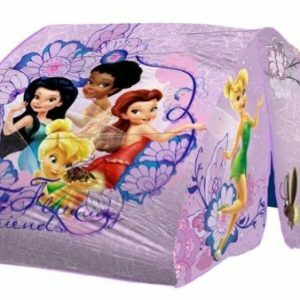 The tent features pictures of the Princess Tiana and the frog on a nice blue and purple background. 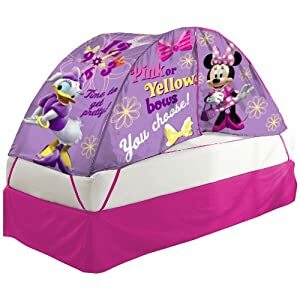 Also, this tent comes with a bonus push light (4 AA batteries required) so your kid won’t have any problem reading or drawing at night. 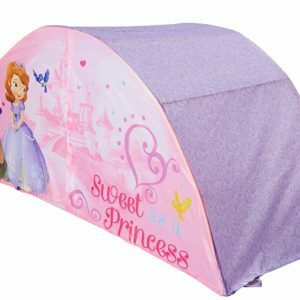 Use a damp cloth and mild soap to clean the tent. 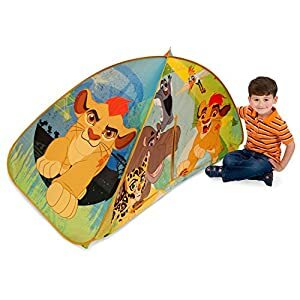 The tent is recommended for ages 3 years and up. 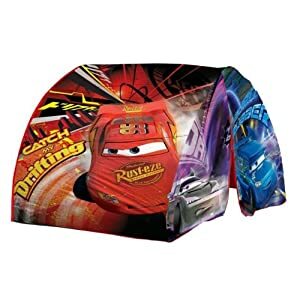 Product dimensions : 32.5 x 36 x 72 inches – 100 % polyester.